Does a RESTful API in Caché remove the requirement to use a DLL and generate proxy classes for .NET web development? 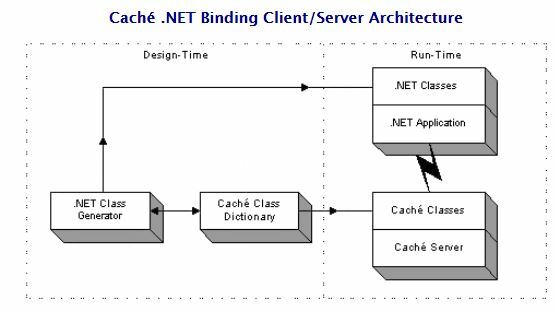 Does developing a RESTful API in Caché remove the requirement to use the InterSystems.Data.CacheClient.dll and generate proxy classes using the Caché Object Binding Wizard for .NET web development? If anyone has links to sample applications using .NET with Caché and REST Services, I would be grateful if you could share them. and services them with a private protocol. It is dependent on synchronized objects at both ends. A RESTful API does something total different. You define request (for data or actions) and sent the request to Caché. And you get it back preferred in JSON style expressed. Your requests are straight HTTP with someWebServer in between on your way to Caché. SOAP does something similar. But it has an incredible overhead of XML. And as with .NET binding you need predefined data structures to be serviced. No predefinded structures. It is all your task to organize yourself. For Caché side there are lots of useful articles in the forum already and examples in SAMPLES. You are the owner of the exchanged data structures. Do you want to access data stored in Caché from .Net via REST API? Yes @Eduard Lebedyuk, that is correct. I am thinking of a MVC Core .NET web application that consumes a RESTful API in Caché Objectscript. Thanks @Robert Cemper for your post. You can do that without DLL/generated proxy classes, yes.